Do you love horses and everything about him? Want a simple way to update the look of your room with an equestrian Flair? Simply replacing a couple of screws and you have the look of a filly and Foal. 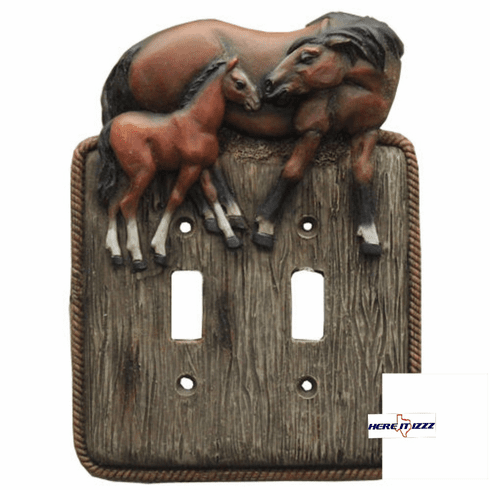 This hardened resin switch plate is easy to clean and will look great for years. It's double toggle switch plate cover looks like genuine Hardwood with lasso rope trim. Mother horse takes care of baby horses in this great looking plate.